Your challenge is to get the penguin to the fish as fast as possible. First use the red slider to set how fast the penguin leaps from the platform. Once the penguin has left the platform, the red slider disappears. From then on, use the green slider to change the friction of the ice and so control how fast the penguin slides across the bergs. 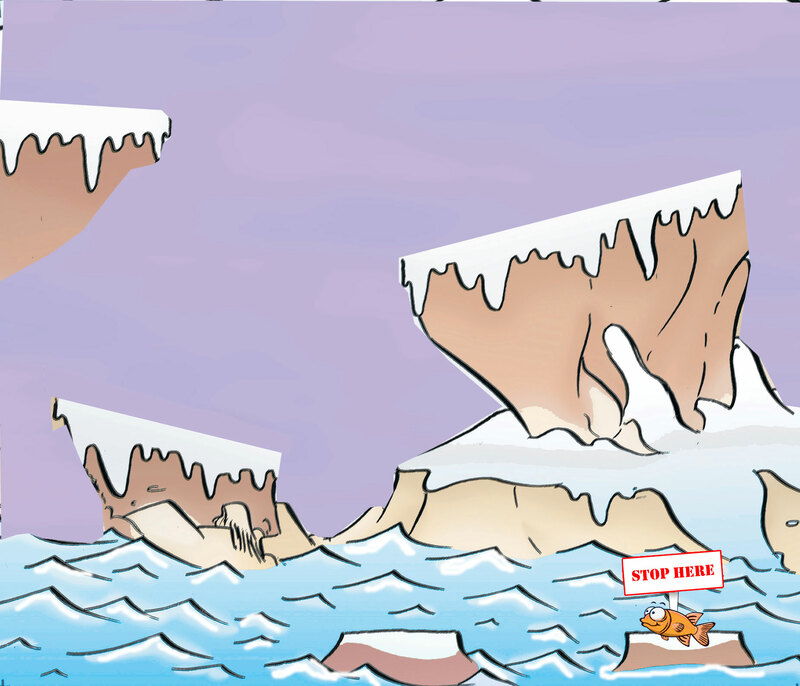 Note that if you whizz off the end of an iceberg, you lose the penguin!